Hey everyone! I just closed out the last 11 year anniversary show today. This time around I was solo. First hour topics included the results of this past Tuesday’s primary elections that pushed Hilary Clinton (Democrat) and Donald Trump (Republican) to the forefront of the election; a report that confirmed women do, in fact, support Hilary Clinton; the Dennis Hastert debacle and how important it is for parents and everyone to advocate and protect young people regardless of a person’s position in life; and monotasking vs. multitasking…which is better? In the second hour, TV Talk as usual but I shared that I actual spent time on the set of Empire (Fox television) and have the goods on the season’s finale but did not tell it!!! I talked about the awesome job the production team, casting crew, and actors did. Of course, I encouraged listeners to look for me in the one of the final two episodes Wednesday, May 4th or May 11th!! Passion for Fashion, I warned young ladies about the retail websites that are selling unwearable cheap versions of prom dresses pictured on their websites. It’s called “catfishing”. Finally,I closed out the show reminding everyone that Thursday, May 5, 2016 is National Day of Prayer from Noon-1pm locally. Go to http://www.nationaldayofprayer.org for more. Last Saturday, I had in-studio guests. Certifed Personal Life Coach, Dedrea Benson, and Poetress, Educator, and Public Speaker, Soul Stanley returned to participate in a “live” coaching session. Dedrea guided and coached Soul through the all too familiar life question– “How do I do it all?” In the second hour, we spent some time remembering Prince. Have a wonderful week everyone!!! Hi everyone. The show was wonderful. We Lived. Loved. Laughed. and Learned. Check out the pictures. Also, visit marilynscafesociety.com for more on the guests. 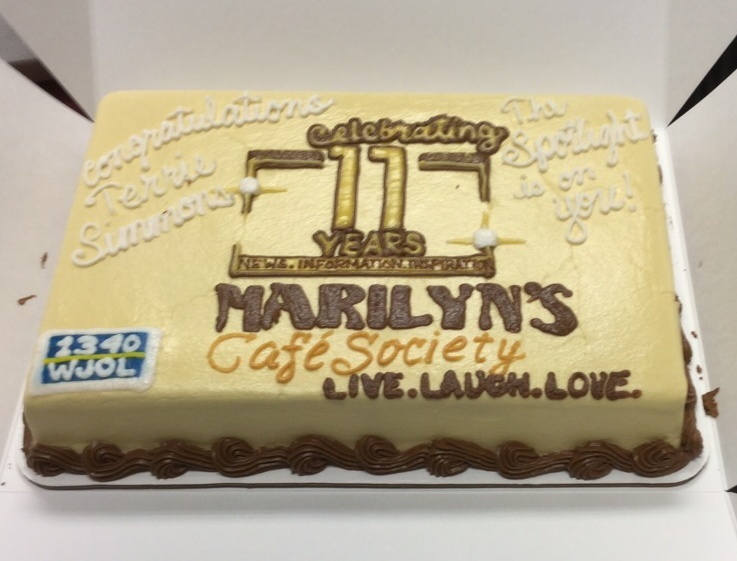 Crest Hill, Illinois – Marilyn’s Cafe Society Radio Show announces the broadcast celebration of the 11th Anniversary show on Saturday, April 9, 2016 at the WJOL Studios, 2410 Caton Farm Rd., Crest Hill, Illinois. The focus of the show will be “Women in Business and Finding Love”. A reception starts at 12:30pm CST followed by the start of the anniversary broadcast at 1:05pm on 1340AM WJOL radio. Continuing with the initial purposes of the show (to inform, educate, empower, and entertain), there will be a special “spotlight” segment featuring Terrie Simmons, Chairperson of the Quad County Chamber of Commerce. Marilyn reported that Terrie has played a crucial role in community development and supportive services for women in business in the Quad County area which includes Will, DuPage, Grundy, and Kane Counties. She said, “Terrie is a phenomenal woman and role model”. The radio show will also feature, Pouline Middleton, author of “One Woman, Three Men” who will stop by to chime in on unconventional ways women can find love in the 21st century; Patricia Cunningham, co-owner of Paramont EO & Crest Lighting will give insight on what it’s like to be a woman in the male dominated electrical industry; Dedrea Benson, CPC and CEO of Vary Unique LLC. 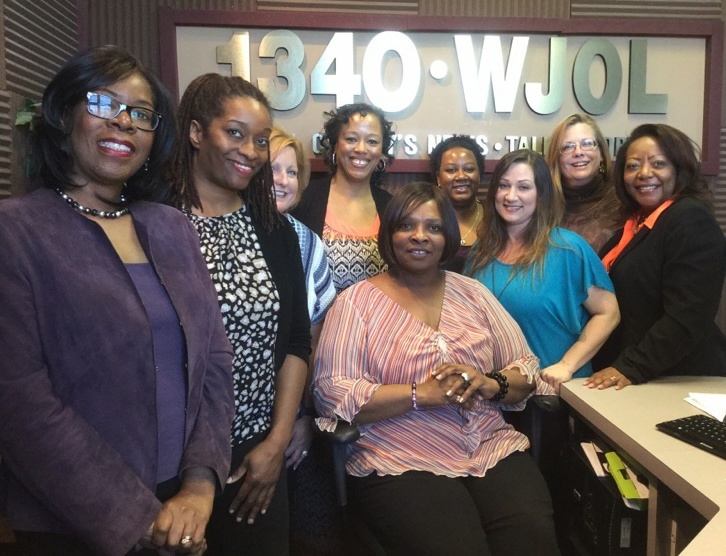 Will share tips on how women and moms can successfully balance running a business and life; and just added, Financial Advisor, Gina Davis Lloyd of Financial Choices Family Wealth Planners will help raise awareness of the importance of Financial Literacy. Other dynamic women with unique businesses will also join Marilyn in the studio. Marilyn’s Cafe Society Radio Show is a 2 hour weekly radio show that debuted 11 years ago in April 2005 on 1340AM WJOL radio station. It airs live most Saturdays beginning at 1:05pm CST and streams online at http://www.wjol.com and http://www.marilynscafesociety.com. Thousands of listeners tune in each week locally, from coast to coast and around the world. Since its inception, the show has been hosted and produced by radio broadcast veteran, Marilyn May. 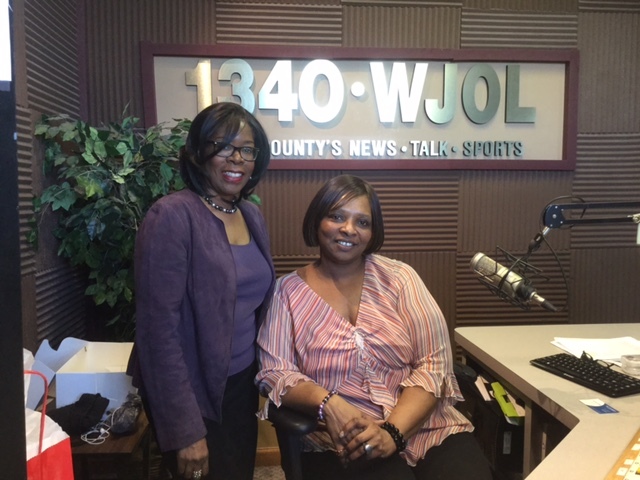 WJOL Radio Station is the local go to station in the greater Will County, Illinois and although its broadcast reach touches 5 counties, it is considered Will County’s news, talk, sports. 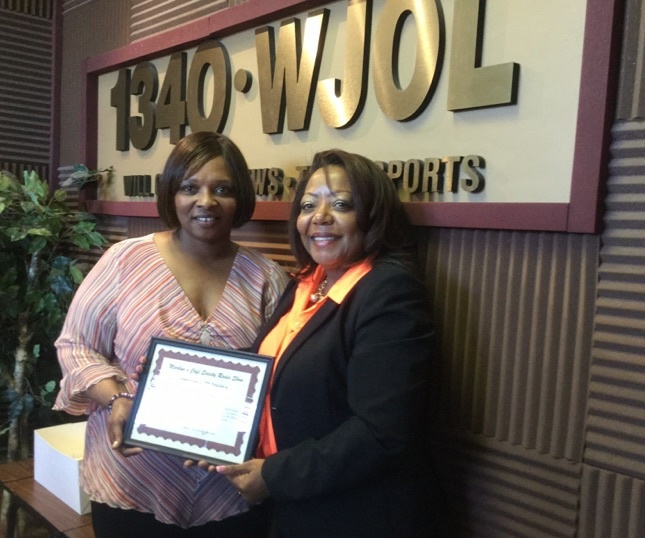 WJOL has been serving the community for more than 90 years. WJOL radio is owned by Alpha Media. For more information, contact the MCS PR TEAM via marilynscafesociety@yahoo.com or 815.556-0100.